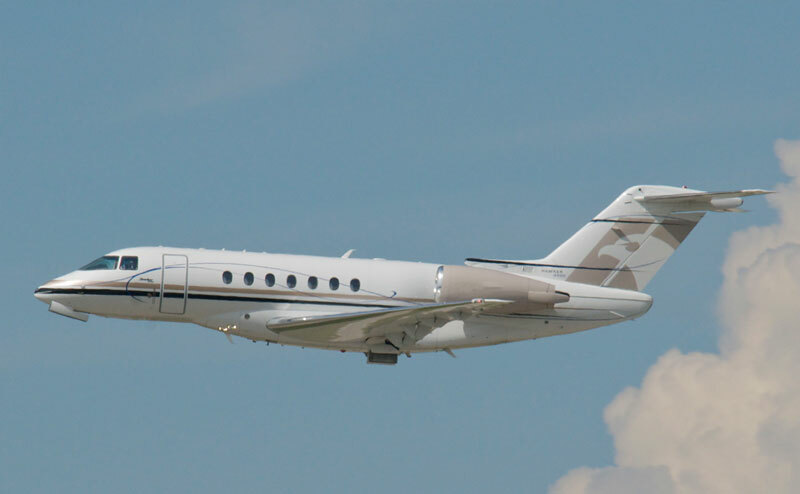 The Hawker 4000, the flagship of the Hawker fleet, can accommodate between eight and fourteen passengers in a stand-up, spacious cabin complete with a fully enclosed lavatory, appliances for hot and cold food preparation and digitally controlled air conditioning. 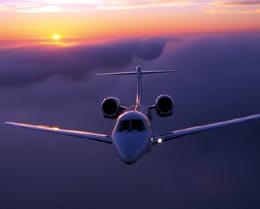 With a maximum range of 3,280 nm, the Hawker 4000 is capable of flying transatlantic distances. The Hawker 4000, which was previously known as the Hawker Horizon, is categorized as a super midsize business jet and was developed to replace the Hawker 1000. The Hawker Horizon was launched in late 1996, but due to technological delays, did not officially begin production until 2004. 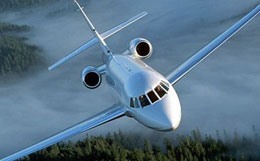 It entered service in 2005 and although it had some setbacks, Hawker was confident that this aircraft would be able to deliver high-performance luxury solutions to private jet customers. 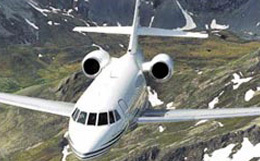 It is the first business jet to utilize a carbon fiber fuselage. Barring that, the Hawker 4000 is noticeably similar to Bombardier's Challenger 300 in terms of structure, function, and category. Private travelers who are interested in purchasing or chartering aircraft from the super midsize business jet category should be sure to investigate the subtle differences between these two aircraft when determining which model is ideal for their purposes. Despite their similarities and differences, both are excellent options for comfortable, transcontinental travel. The Hawker 4000 can be configured in a variety of possible arrangements. 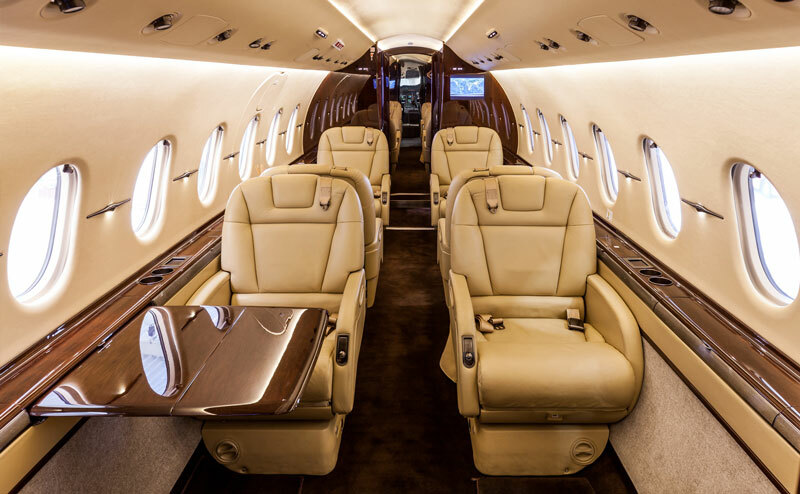 Optimized for eight passenger luxury, but capable of carrying fourteen passengers in a high-density seating arrangement, the Hawker 4000's interior cabin is quite versatile. Regardless of possible seating arrangements, the interior is notably luxurious, spacious, and comfortable. The ample space provided by its generous cabin volume allows passengers to enjoy legroom and freedom of movement. With a generous 115 cubic feet of baggage space, the Hawker 4000 has more storage space than its closest competitors. Although the cabin is equipped with some standard entertainment features, it really stands out as an airborne office, featuring a MagnaStar 2000 air-to-ground phone, power outlets, and individual worktables as standard amenities. Further office and entertainment amenities are available upon request. The cabin also features temperature controls and fourteen windows to create an atmosphere with more natural lighting. The Hawker 4000's required field length for takeoff is just 1,545 meters and can climb to 41,000 feet at an impressive 19-minute mark. At this altitude, it can cruise at speeds as high as Mach .84. Twin Pratt & Whitney Canada PW308A engines power this aircraft with 6,900 lbs of thrust each. Customers will appreciate both the speed and the hot-and-high performance of the Hawker 4000. Operators will appreciate the cockpit's fully-integrated Honeywell Primus Epic avionics featuring five 8 x 10 inch LCD monitors. This advanced control panel combined with flight management systems allow the pilot to maintain full awareness while commanding the aircraft. The Hawker 4000 is truly an ambitious and innovative aircraft and although reviews from operators have been consistently positive, it suffered from almost a decade of delays that prevented Hawker from capitalizing on its technological edge. Nevertheless, the Hawker 4000 is still an excellent super midsize business jet and one of the best options for transcontinental luxury travel. For more information about chartering, leasing or buying a Hawker 4000 please contact us by calling +44-20-3874-8091 or send us an email here.